The Four Seasons Astir Palace Hotel Athens is now accepting reservations for arrivals beginning 29 March 2019. The luxury resort is located on a pine-clad peninsula jutting into the Aegean Sea, just minutes from the historic city centre of Athens. 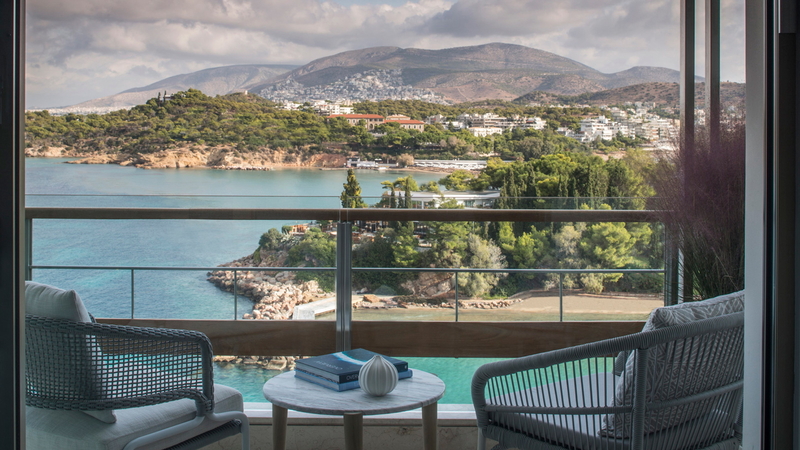 Long a favoured playground of Athenians and international celebrities, the Astir Palace Hotel is being transformed into the first Four Seasons experience in Greece. On property, there will be three private beaches, three swimming pools, a tennis academy, basketball court and non-motorised water sports, a fully supervised kid's club, and an all-new spa and hydrotherapy house. Dining and drinking options include Italian trattoria Mercato, Greek seafood restaurant Pelagos, authentic beachfront Taverna 37, Latin American-inspired Helios Grill at poolside, Aristotle’s Cigar Bar and more. See latest HD Video Interviews, Podcasts and other news regarding: Four Seasons, Athens, Greece.